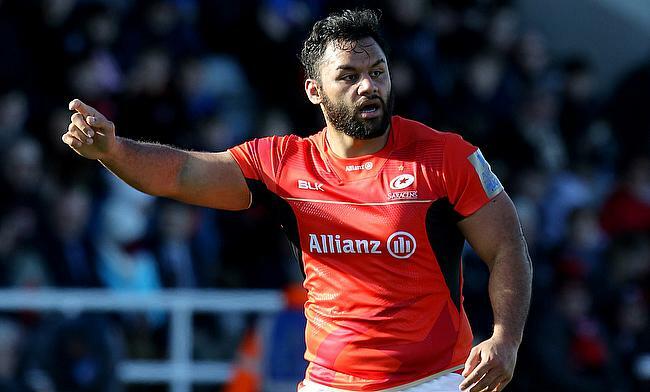 Saracens registered their second consecutive win in the ongoing Gallagher Premiership competition as they went on to beat Bristol Bears 44-23 at Allianz Park on Saturday. Saracens now have 10 points from two games as they are positioned second in the table while Bristol are positioned eighth. The win for the home side was aided by a red card to Bristol flanker George Smith for a dangerous tackle in the second half. The Sarries were quick to get off the mark as Matt Gallagher crossed over in the fifth minute and Owen Farrell kicked the conversion to make it 7-0. However, Bristol responded back when Alapati Leiua touched down in the 11th minute while Callum Sheedy slotted the extras to level the scores. After Sheedy and Farrell traded a couple of penalty goals apiece before Leiua scored his second as the visitors went into the break with a 13-18 lead. The scores became 18-18 at the start of the second half when Alex Lewington dived over the line in the 44th minute for an unconverted try but a red-card to Smith in the 49th minute changed the proceedings of the game completely. Billy Vunipola making a comeback from an injury came off the bench in the 45th minute and five minutes later contributed with a try before Liam Williams touched down in the 53rd minute to make it 30-18 and from there on it was a catching game for Bristol as Williams scored two more tries to complete a 44-23 win for Saracens.